As you walk past Guilick House and approach the steps to Mary Lowell Stone House, you gaze to your left and see Proctor’s Woodlands building. For the past thirty years, white smoke would waft out of the chimney from the small cast iron wood stove inside this home base for the management of Proctor’s 2,500 acres of woodlands. The former office of longtime forester and wildlife science teacher David Pilla, few of us have ventured to this corner of campus since Dave’s passing in July. 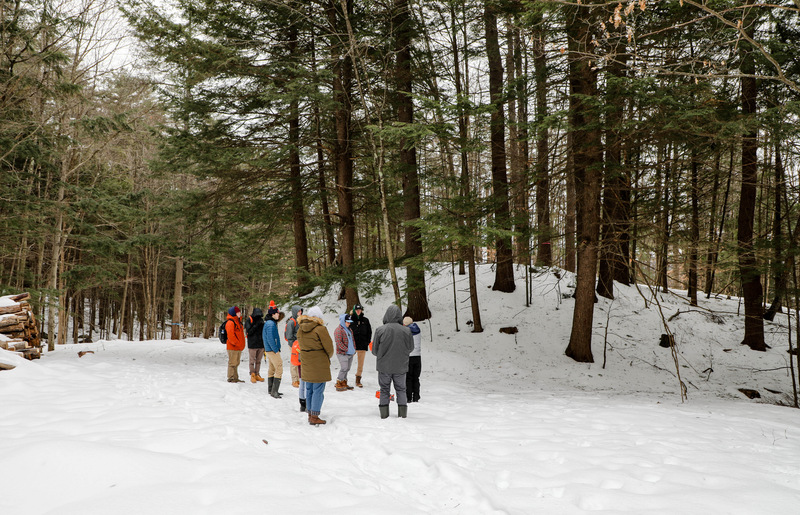 However, the time our students are spending on our land, studying wildlife and ecology, continues through the work of Alan McIntyre and Lynne Bartlett’s Conservation Ecology classes. At the core of each student’s Proctor journey are experiences that define a period of their lives and often set the course for future endeavors. 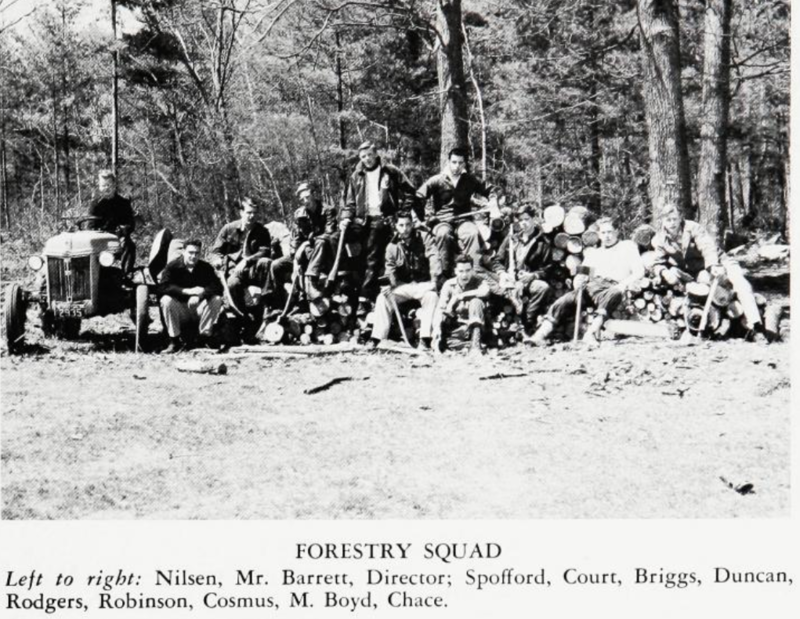 Talking to the hundreds of alumni in attendance at Dave’s service, the time they spent in Forestry and Wildlife Science classes left an indelible mark on their lives. Their message to Proctor was loud and clear: Please make sure the next generation of students spends time on Proctor’s land just as we did. As we prepared for the 2018-2019 academic year, creating courses to replace Dave’s Forestry and Wildlife Science classes was a priority. Thanks to dedicated, and creative, faculty members Alan McIntyre and Lynne Bartlett, our students continue to utilize Proctor’s greatest laboratory on a daily basis. 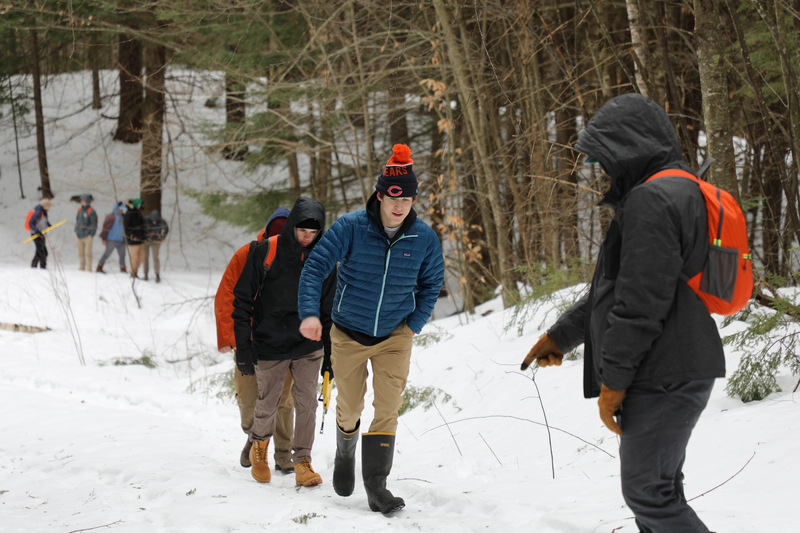 This winter, Conservation Ecology students are studying individual plots of land, tracking wildlife, learning about the habitats within live and dead trees, exploring the history and significance of New England stone walls, and learning how to use a map and compass. 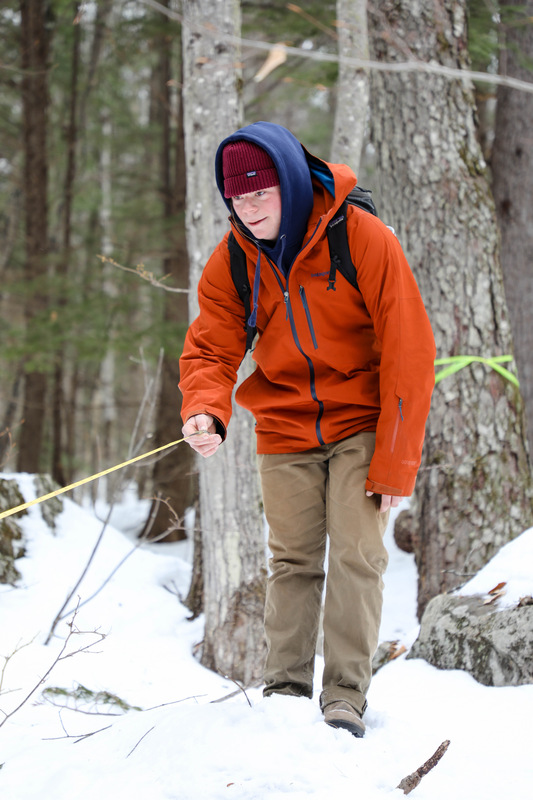 Not every student will become a forester or wildlife biologist, but we have a responsibility to graduate students who understand their connection to the natural world, and what it means to steward the environment around them. 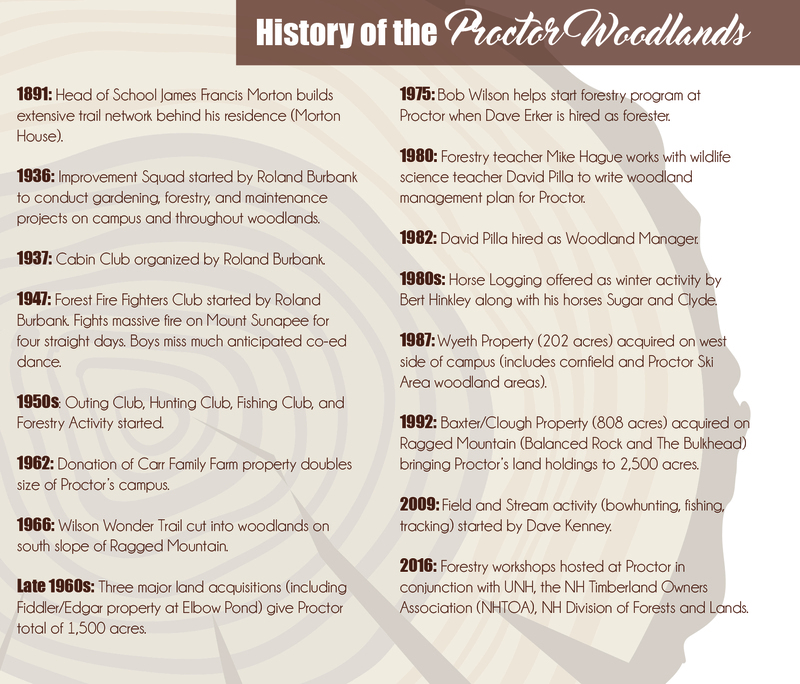 The above timeline was included in an article on the Proctor Woodlands in the 2016 Edition of the Proctor Magazine (read that article and more here). 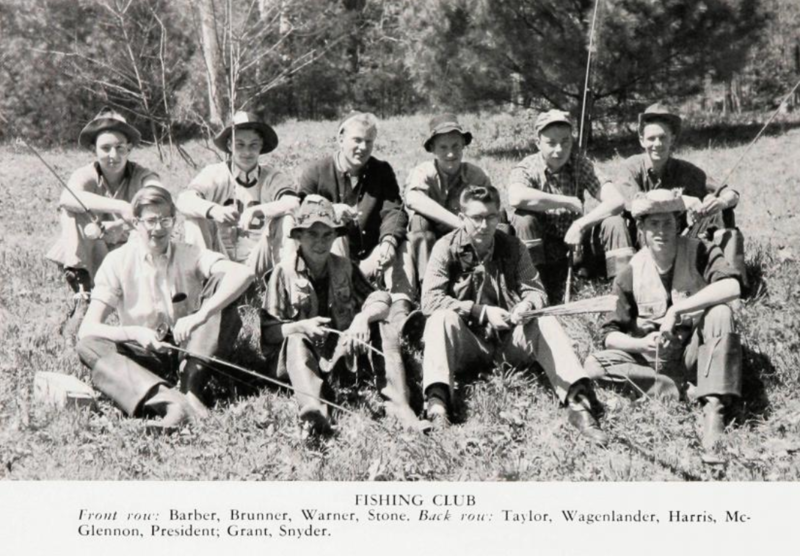 Since the late 19th century, Proctor’s faculty have consistently facilitated a connection between our students and the natural world (don't you love the forestry squad and fishing club photos from the 1957 yearbook below). 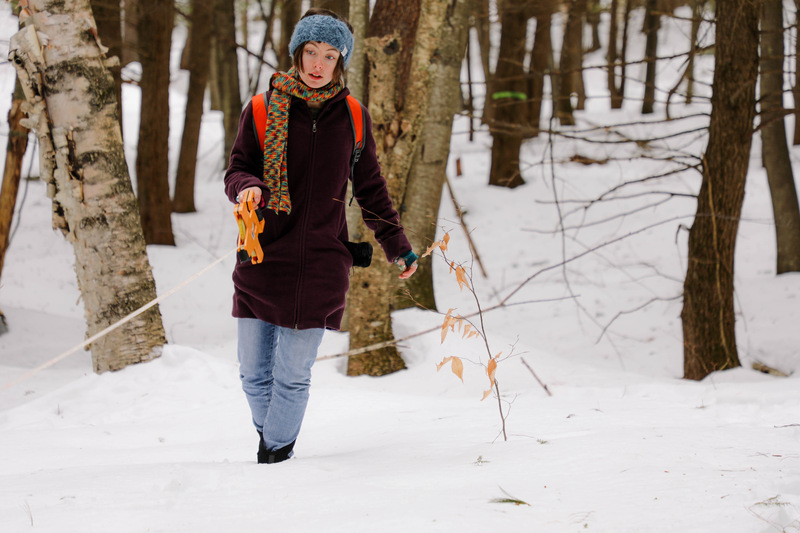 Proctor is incredibly fortunate to steward 2,500 acres of land, but are we doing an enough? How can we move beyond our students simply using our land as a classroom and truly embrace the acute environmental challenges of our time? Perhaps the most powerful lesson courses like Conservation Ecology teach us is that we are part of a greater whole, something larger than ourselves. In a society driven by a focus on the individual (our marketing as a school is a culprit of perpetuating this dangerous mindset as well...more on this challenge in a blog next week! ), we must actively work to understand and accept our responsibility to work for the greater good of those around us, our environment. Through courses like Conservation Ecology, we come face to face with our natural world, those animals small and large who share this place we call home. Once again, we get proximate to our learning and are challenged to ask ourselves really tough questions about our lifestyle. We believe in our Environmental Mission Statement, but are we, individually, ready to eliminate plastics from our lives? To eat less meat? To invest in and develop sustainable food sources on campus? To travel less for athletic competitions? To sacrifice individual comfort for the greater good? Are we ready to act when others aren’t? Are we willing to be a catalyst for change, or are we waiting for someone else to lead? Let’s have the confidence to not just talk about leading, but to create a culture at Proctor where our actions speak for themselves.